To play this event, you must command three personnel. 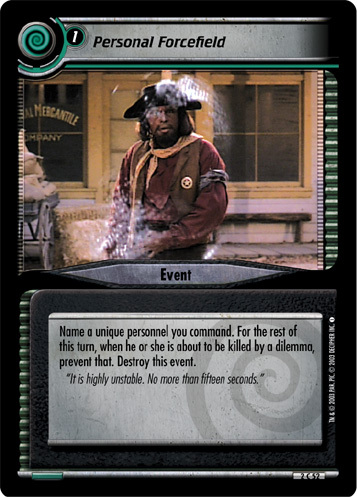 Take a personnel from your discard pile and place him or her on your headquarters mission where that personnel could be played. 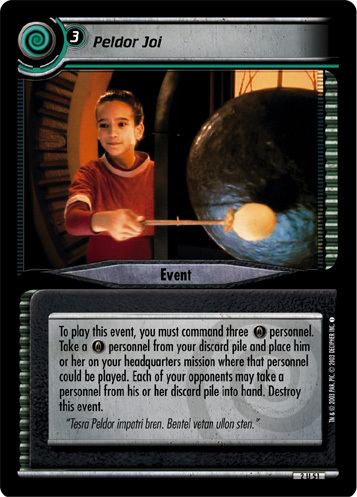 Each of your opponents may take a personnel from his or her discard pile into hand. Destroy this event. "Tesra Peldor impatri bren. Bentel vetan ullon sten." 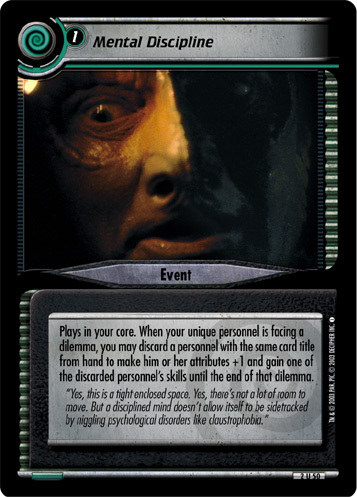 Image Source: Deep Space Nine: "Fascination"